What kind of an individual looks at Mount Everest and says, “I will overcome that”? A person of rare drive, I think; a lot of courage and even more ego. And a person of means—lucky in life and in the moment. You’d need all those qualities, so that your fear of the mountain did not lead to intimidation, and then, to a hesitation to climb at all. You’d need to check your awe, I suppose. Just enough to keep going. The Epic of Everest is a documentary about that act: that checking of awe. It details a 1924 attempt by a team of Englishmen, aided by Tibetan men and Sherpas, to reach the summit of the world’s tallest peak. As if it were not enough for them to reach the top, the team wished to capture their ascent on camera. And so, through a tremendous mixture of planning and will, endurance and scientific experimentation, they produced the footage that would become this film. I’ve no doubt that Captain John Noel and his companions were told, many times, that it could not be done. But they did it, mostly. And we still have the record today. You can’t help but be impressed by the effort. 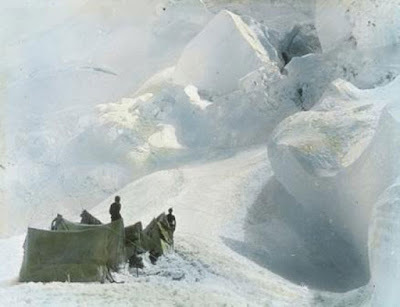 Bulky cameras were hauled up sheets of ice, in thinning air, used to photograph (as we see) one colossal Himalayan vista after the next. The Epic of Everest is largely a collection of long- and medium-shots of the mountain itself: its bleak white surfaces gleaming in the sunshine, its rumpled rocky crevices dwarfing the climbers. These men: for much of the film mere black dots, are the ones for whom we’re supposed to save our admiration. So the film implies, anyhow. Yet I found myself conflicted about that, right from the start. 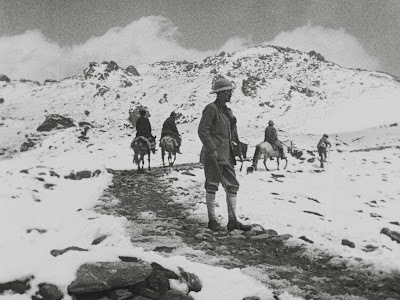 The first quarter or so of the doc is devoted to the Englishmen’s prep, which takes place in a nearby Tibetan village called Phari Dzong (Pagri). The residents of this village, who must have received Noel’s team with some grace, are rewarded with derisive treatment, as we read one intertitle after the next about hygiene, innocence, and the artistic preoccupations of uncultured primitives. That these people surely knew more about the conditions on that mountainside than anyone else is barely considered. The Englishmen, by contrast, appear so woefully underdressed in the early scenes that members of our audience openly chuckled. I bet Captain Noel would’ve been surprised by that. The irony of these scenes is that they provide The Epic of Everest with its most human moments: men and women in traditional dress, going about (we presume) their regular tasks; and mugging for the camera too. We get to know them a little bit, and that’s fun, even though, as a modern audience, we feel the patronizing overtones too strongly and wish the film would just move along. We leave Phari Dzong behind, feeling a mixture of relief and regret. Now the warmth of the village gives way to the frigid immensity of the mountain and Noel’s camera, which captured the Tibetans with such a cavalier swagger, seems suddenly cowed. Shots seem to last forever, as we observe the ant-like procession of climbers moving along one huge piece of terrain after the next; their progress captured nearly in its entirety, over and over; to the point of tedium. I was reminded of very early silent films—the works of Edwin S. Porter, for example—made before the lessons of editing had been learned. Yes, some allowance can be must for the climbers’ technical limitations, but the result is the same and the sheer beauty of Everest is not enough to overcome it. People died on this expedition, we’re told. We are informed of the first expirations via intertitle, having never had a clear look at the dead mens’ faces beforehand. This is a bit like reading a stranger’s obit—the deaths carry the weight of fact, but do not feel tragic. Had we been allowed to ‘meet’ these men upfront, as we did the villagers, it would have been different. 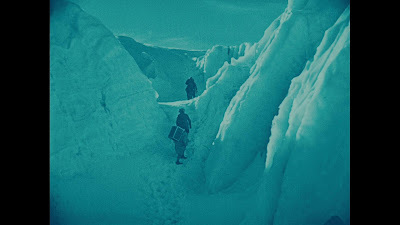 The Epic of Everest improves sharply in its last half hour, when the goal of the summit seems within reach and the danger for those intrepid few who make for it becomes palpable. Again, this danger could’ve been reduced to mere fact. But this time we’re pulled in, thanks to another shift in tone: away from the passive reverence for scenery that slowed the film down and toward something more robust, allowing for a more varied and dramatic final act. There are still long takes, but now several are fronted by intertitles explaining the technical achievements that made them possible. One shot, taken over a distance of several miles, is described as record-breaking. I found the boastfulness of this refreshing, honestly; it gave each shot a sense of purpose beyond the simply picturesque. 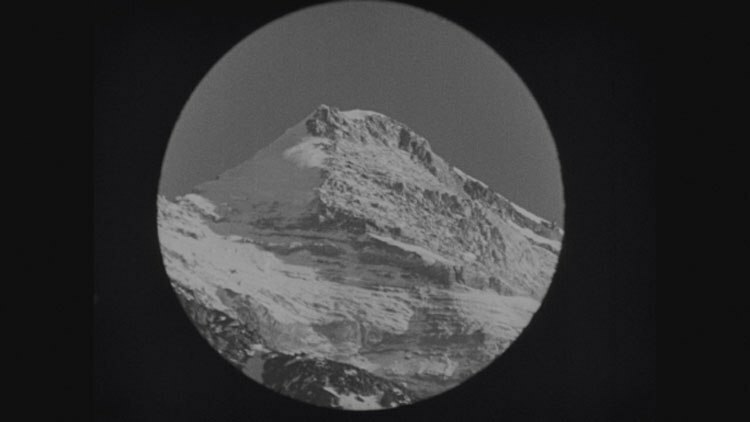 It is also in this last act that we finally, clearly, see the faces of the climbers—two of them, anyway, and just portraits from their lives back home, though this is poignant in a way that a shot from the slope could not be. What happens to these last climbers is a story worth watching, and I think it makes the whole film worth watching—a reward, perhaps, for all those lingering near-stills we sat through to get there. It’s fitting that the last scenic shots in The Epic of Everest employ time-lapse photography—the sunlight crawling rapidly up the face of the mountain in a visual both dynamic and grand. Here we see—and feel—the filmmaker act; showing an aggressiveness in keeping with the mindset he and his compatriots must have possessed. This is the most honest portrayal of them really. If one can truly ‘overcome’ a challenge like Everest, the best example is here. 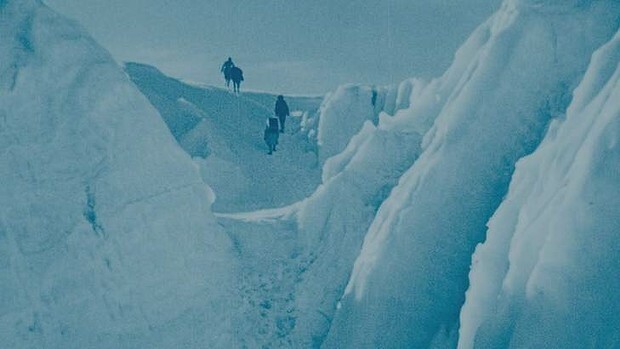 The Epic of Everest was screened at the Toronto’s Revue Cinema on April 8, 2016—part of the 2016 Toronto Silent Film Festival. Live accompaniment was provided by Ensemble Polaris.